This painting, Still Life with compote and Glass, demonstrates Picasso's return to portraying subjects that can be identified in his Cubism. In this painting Pablo Picasso created this complex arrangement of colored shapes and faceted objects. He seemed enjoying the many different surfaces and substances, including a wood-grained tabletop, swatches of wallpaper, spots of various shades, various food items, and segments of wood molding. 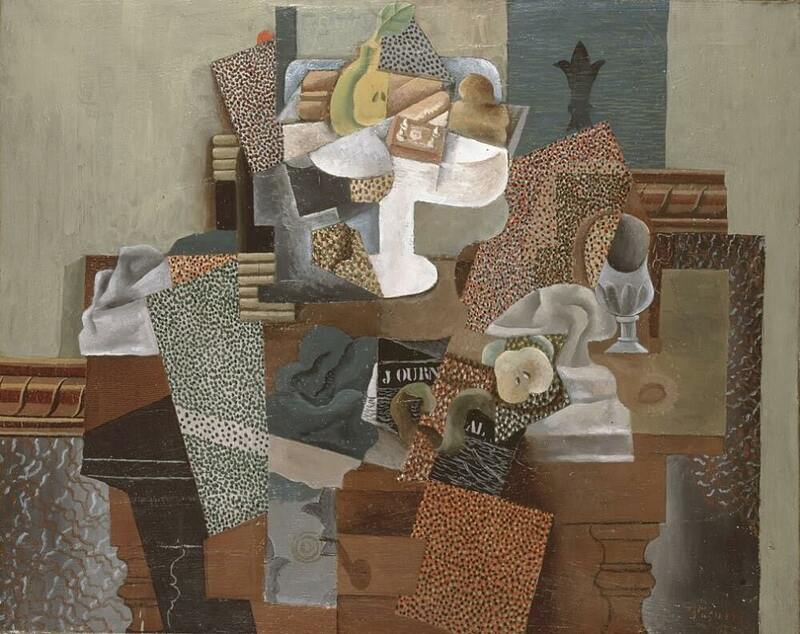 In this painting Picasso has explored the scope of illusions that can be created by using the fake marble surfaces, a shadow from a key or handle in the drawer of the table, pieces of fruit in both cross-section and profile, and picture planes that are level against the surface or that sit at an angle and cast shadows.